I will be here for another few days, and I plan to be spoiled rotten by my mom for that duration. So I will be back next week. 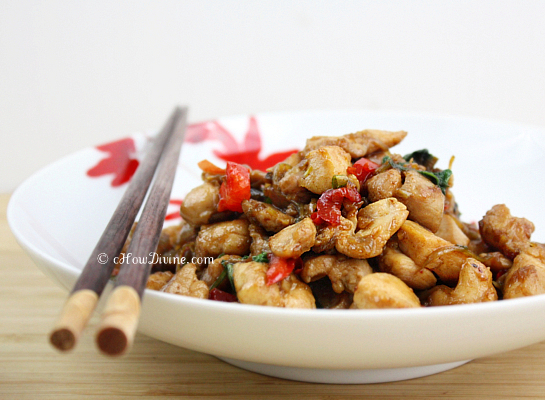 In the mean time, here are some of the most popular posts on cHow Divine in no particular order. Hope you are all well! I just told my mom that she will have to make her famous noodles before I leave. I just hope I remember to take pictures. 😀 Hope you had a wonderful week. Thanks Sandra! Oh god I am so late again. How are you doing now, hope your mother’s care helped you to get better. 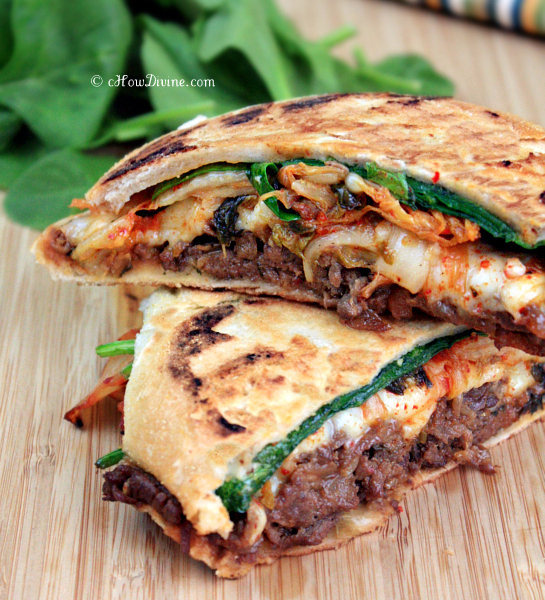 You know I fell in love with your kimchi bulgogi Panini long ago! 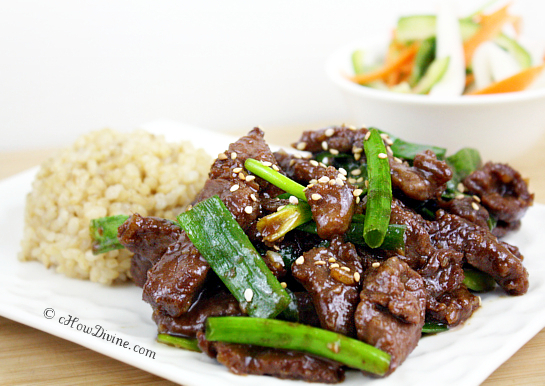 The Mongolian beef is a dish too that I d love to try soon since it seems I have all ingredients here (need to check again!). I’m doing much better. Thanks for asking Helene! So glad to hear that you enjoyed the bulgogi panini. I hope you try the mongolian beef. 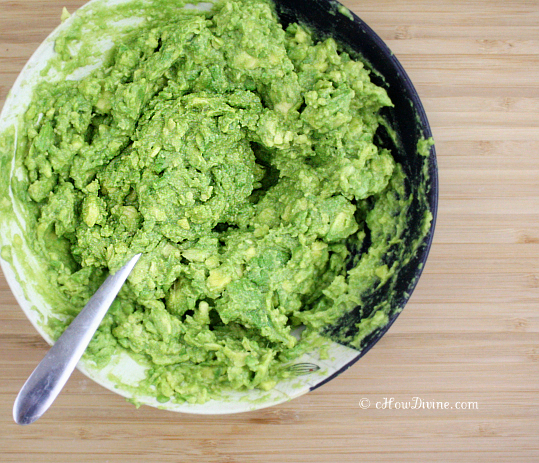 It’s probably the easiest thing to make, but so flavorful. My mom’s been cooking up a storm. I just need to remember to take photos. 🙂 Have a wonderful weekend! Nice to hear you’re feeling better, Gomo. Cali weather is lovely right now, isn’t it (at least in socali it is…not sure if ur staying so or nor cali)? The photos all look so delish and is making me hungry! Have fun with your mom. I’m dying to see pics of her famous noodles! This is almost like watching a good film 😉 As your recent visitor I’m very happy to discover so many luscious-looking dishes in one post. I have just added Chinese cabbage to my shopping list. I will make kimchi today (I haven’t made it for quite a long time…). 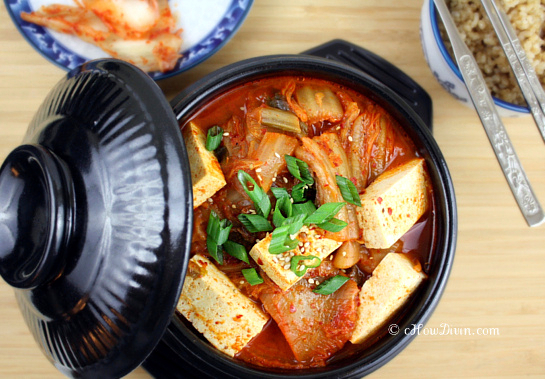 Kimchi Jjigae is so beautiful! My mom is normally far away. I’m lucky if I see her twice a year. 🙁 It would be so nice if she were close by. So I can empathize. Thanks for your kind words Sissi! I hope you are having a great weekend! Sorry you’ve been feeling poorly! But glad you’re being spoiled rotten! Nice collection of deliciousness for us to drool over – thanks! I seem to get sick often when I travel. Ugh… But yes, it was nice that my mom was there to spoil me. 🙂 Happy Saturday John! Have a great time with your mom! Of course, enjoy her great cooking too~! Great collection of recipes!!! I hope you’re feeling better! It’s nice that you got to spend time with your mom. I hadn’t seen her for about six months. So it was extra nice. Thanks Julia! You are in the same time zone! 😀 Let me know if you come up to the nor cal… 🙂 Enjoy cooking with your mom! I’m going home soon to get spoiled too. =P Love your round-up. I’m back in NY. We’ll have to plan something next time I’m in Northern Cali to see my brother. 🙂 Thanks Nami. Hope you’re have a wonderful week with your family!